Hall of the Mountain King: Review: Armored Saint, "Win Hands Down"
“Win Hands Down” launches this effort with the sort of seize the day anthem that the band has done often in the past. It’s a driving tune with a catchy chorus hook. John Bush, for me one of the more underrated vocalists in metal, sounds as good as ever. He’s one of those rare singers who seems to have gotten better with age as his voice deepened and got a little more gruffness to it. Gonzo Sandoval lays down a mean, tight rhythm on the track that catches my attention. I’m a guitar guy, all the way, but even I find myself playing air drums on this one. There is a quiet interlude before the guitar solo that seems a bit out of place in the otherwise fast-paced rocker, but it doesn’t detract from the tune. 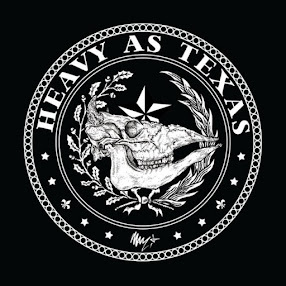 “An Exercise in Debauchery” follows a similar musical theme, opening with some catchy guitar riffing from Phil Sandoval and Jeff Duncan, then given a heavy groove by Gonzo and bassist Joey Vera under the verse and chorus, which is another one of those stick-in-your-head hooks. We get an interesting guest shot on “With a Full Head of Steam,” one of the more aggressive tracks on Armored Saint’s Win Hands Down, which features vocals from Pearl Aday, daughter of Meat Loaf and wife of John Bush’s former Anthrax boss Scott Ian. Aday holds her own on the scorching track, and sounds good trading lines with Bush. There’s also a nice breakdown section toward the middle of the song that allows Gonzo and Vera to strut their stuff a little more. It’s a tough call between this and the title track as to which is my favorite on the record. There is the occasional uneven track, like “That Was Then, Way Back When.” The song tells a story that’s certainly relevant to the modern world — a has-been desperately looking for popularity and acceptance on social media — but musically, at times, it’s as awkward as its title. “Up Yours” also has bits where it doesn’t flow as well as some of the other tracks, and it’s admittedly a little juvenile for a group of guys in their 50s, but it’s still kind of fun, too. Those tracks are the exception, though, and even they have their moments. “In an Instant” provides one of the more interesting pieces on the album, going through several movements. It opens as a ballad, but quickly gets a little heavier. It’s also a little heavier lyrically as John Bush explores things that we do that can change life in an instant and staying true to yourself despite what happens. After a couple of verses, it breaks down into a funky heavy groove with a wailing guitar solo. It comes out of that into a bashing hard rock feel before returning to that original theme. We also hear a different take on Bush’s voice at times, as he slips into a softer sound here and there that he’ll explore more on “Dive,” the only true ballad on the record. That one opens with a dark piano and moves into something with perhaps a hint of Latin influence when the guitar comes in. There’s a choppy guitar note that reminds me a bit of the Anthrax ballad “Black Lodge” in there, and the soulful guitar solo is one of the best on the record. On the other end of the spectrum, you have the thrasher “Mess,” which opens with shades of something off of Metallica’s Kill ‘Em All before entering more familiar Armored Saint territory. There’s a touch of Middle Eastern sound after the first chorus and in the solo, ,and the outro riff takes it back to that classic thrash sound we started with. 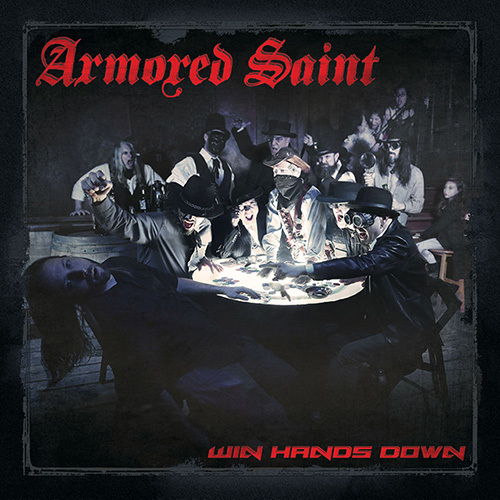 If there’s one word that I’d use to describe Win Hands Down, and Armored Saint in general, it’s consistency. You know what you’re going to get, and you get it every time. There may be a lull or a curve ball here and there, but at the end of the day, you’re going to have a rock-solid heavy metal record with songs that stick with you. In a fur, armor and spandex-clad 1980s video that I’m sure they’d all rather forget, the band once asked “Can U Deliver?” No matter the ups and downs or the time elapsed between records, the answer for Armored Saint has always been a resounding yes.